A fascinating interview in ArchDaily of Colombian architectural historian Maria Elisa Navarro, of McGill University, who advised creators of the video game “Assassin’s Creed II,” opens up new vistas for the classical revival. Of course, the events that play out in historical re-enactment are not always as beautiful as the architecture itself – as true today as in every other period of history. Let’s not make the mistake of blaming the buildings for what goes on in and around them. Another aspect we dealt with was the look of the buildings — they were modeling, and I would meet with them periodically to verify the accuracy of the historical reconstruction. 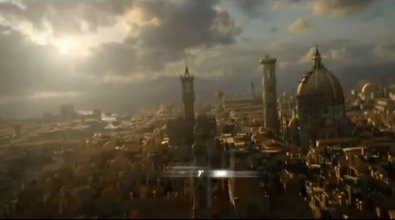 Sometimes, for gameplay purposes, they needed to have walls with a lot of texture so that Ezio could climb them, but when the time came to lay those parts out, there were some inaccuracies. For example, I remember a balcony with a wrought iron railing that couldn’t have existed in that time period. I was responsible for detecting those issues. On the other hand, late 15th century buildings most likely had only one level, two maximum, but they decided to ignore that fact for the sake of gameplay. For me the most interesting thing about the experience was the historical interest in the development of a video game. The genuine concern on their part was a pleasant surprise. What’s more, it seems like an excellent way to spread information that is normally quite hidden. In fact, compiling the information was half of my job for two years, so it seems to me an excellent way to make sure that knowledge doesn’t stay hidden. It represents another form of learning. Navarro’s reflections on this method of spreading knowledge of historical architecture lies apart from the interest today’s classicists have in reviving beauty as a method of engaging the public’s civic spirit and individuals’ joy in life. But they are far from unrelated. Her work environment in Montreal, where the game company Ubisoft was headquartered, expanded as the level of technical complexity in producing the video game expanded. She went from working with 20 people to working with 400 people, in a basement with strict security arrangements because the gaming industry is a secretive business. Which may be of interest to Rhode Islanders struggling with a scandal involving public financial support for a video-game production company, 38 Studios, founded by Boston Red Sox star pitcher Curt Schilling. Many people have a difficult time imagining how the company could run through so much money so quickly, and why the production of video games required so much secrecy. Navarro’s description may shed some light on that. Make sure you watch this five-minute video segment of our hero vaulting through and around a cathedral, up and down the streets around it, unsheathing his sword in earnest only at the end. 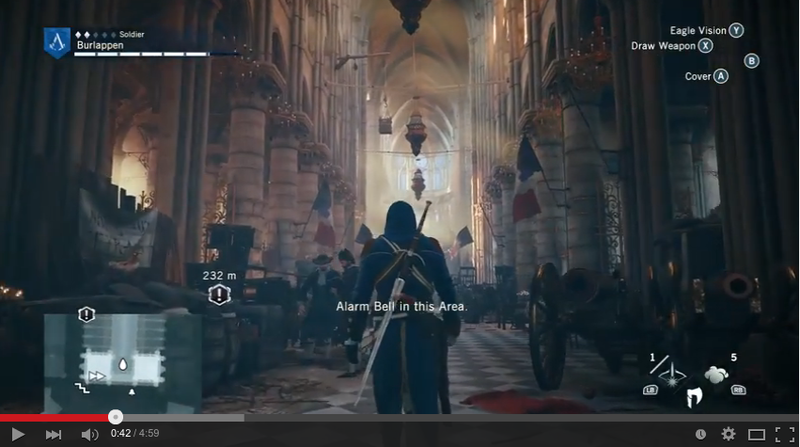 More information can be had from a 35-minute video that sets the scene for the game’s historicity. It can be seen by clicking on a screen toward the end of the article. 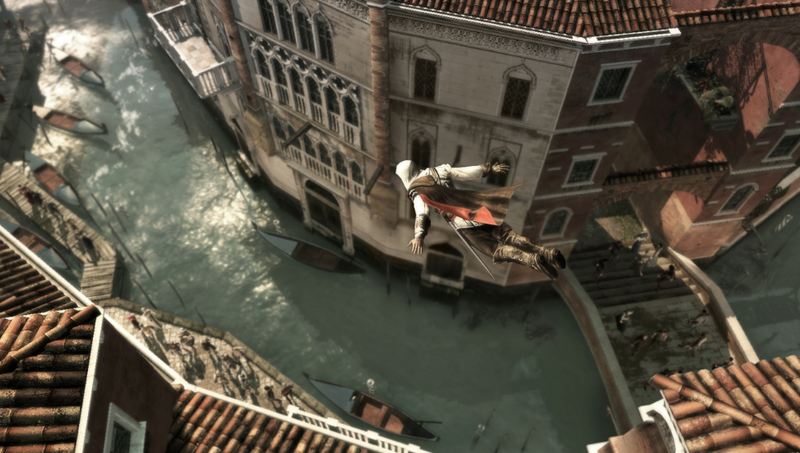 You will be awed and astonished by the technical virtuosity that went into creating the 3D motion experienced by players of “Assassin’s Creed II.” And in fact, where else can you have a similar experience without trading an arm and a leg for a flight to Italy? And I should say that Ubisoft is only one of many game makers placing their characters in historical environments that are not only exciting but beautiful. Frank Gehry, Rem Koolhaas, Renzo Piano, Zaha Hadid, etc., call your office! This entry was posted in Architecture, Architecture Education, Architecture History, Books and Culture, Development, Urbanism and planning, Video and tagged 38 Studios, ArchDaily, Assassin's Creed II, Curt Schilling, Maria Elisa Navarro, Red Sox, Rhode Island, Scandal, Video Game Industry, Video Games. Bookmark the permalink. It’s always a pleasure reading comments about our fine city. I hope that this page, that we’ve just published on our blog, about the Florence Duomo will be interesting those readers of your that want to learn more about this fabulous Cathedral. that I have actually loved surfing around your blogs.